You probably know that indoors gardening is excellent for growing cannabis. 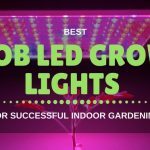 Moreover, if you use a good grow lights along with a good hydroponics systems, then your weed will grow exceptionally well. These are the reasons on why you should grow cannabis with the help of a grow tent. And here you will find the top-10 choices, the best the market has to offer you. Without anything more to add, let’s get down to business. Not all tents are the same, that’s why you will find suggestions for every size, which is perfect for beginners and experts. Let’s start with this affordable and small option. It comes in bigger sizes – which are also affordable – but for the purpose of this review let’s focus on the smallest version: 24”x24”x48”. More light and power for your weed. It’s light-proof which stops light from escaping. 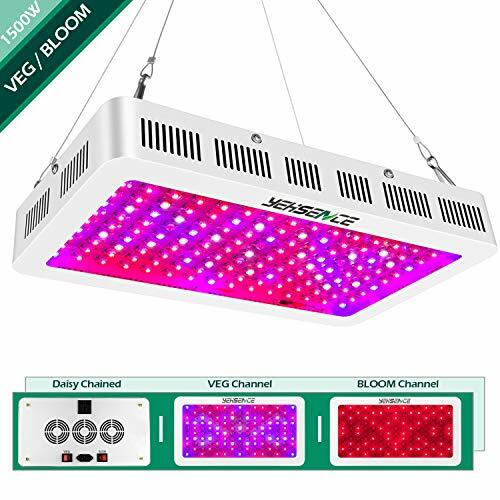 Moreover, a 99%-reflective interior gives magnifies the power of your grow light. Surprising durability. Its heavy-duty 600D, metal bars and metal connectors make it super durable. Comes with viewing window. Thanks to it you can observe your cannabis without affecting it with white light. This grow tent is actually pretty good. If you are looking for a small and very affordable option, then here you have an excellent choice. It can be cheap, but it’s very sturdy because it’s been fabricated with 600D heavy-duty material which is highly durable and tear-proof. Moreover, the metal bars and metal connectors make it even more durable for the long run. 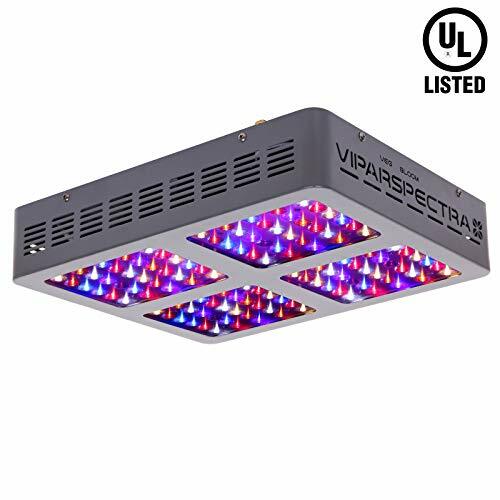 It’s also important to mention that it does an excellent job at blocking light from escaping and magnifying the power of your grow light thanks to its 99%-reflective mylar lining. And this is the most important feature in any grow tent. Moreover, it has also proven to provide your plants and weed with fresh air and protecting it from the environment, which means pest will be away from it. It’s also very easy to clean thanks to its removable mylar spill tray. It really eases things up, so you don’t have to lose much time cleaning your grow tent. 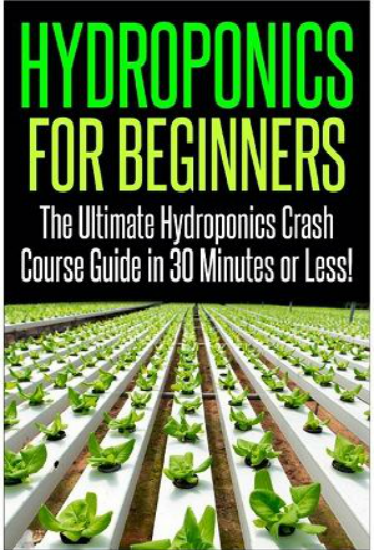 Its small size makes it perfect for most indoors gardens, and especially for beginners who want to give this a try without spending too much money. Here we have another small and reliable option for you. This pick, fabricated by Oshion, has many interesting features to offer you. More light efficiency. Its 600D heavy-duty material stops light from escaping, and hence, it makes your weed grow faster and better. Pretty easy assembly. It won’t take you more than 20 minutes to set it up. Super sturdy. The 600D and metal construction make it super sturdy and highly durable. It’s very similar to the tent crafted by Valuebox, because it’s also sturdy and does an excellent job at keeping light in the tent and using its reflective mylar lining to magnify its power. But what stands out is that it looks like a wardrobe in order to protect your privacy. It’s full black and has no leaks, which means none will know you are growing cannabis in case you want to keep it private. It’s an excellent advantage. It’s also very easy to clean thanks to removable mylar spill tray. It provides your weed with fresh and healthy air, so it can grow fast and healthy. Moreover, thanks to its super-sturdy construction it will stop pests and pollutants from damaging your cannabis. Here we have another small-sized option, and this time fabricated by Apollo Horticulture. The size 36”x36”x72” makes it perfect if you just want to grow a few cannabis plants. It’s certainly more expensive than other small options, but it’s truly worth it. Let’s discover why by checking the pros and cons. Make the most out of your grow light. It’s 100% light-proof and thanks to its 100%-reflective mylar lining your plants will grow faster and stronger. The perfect environment for cannabis. It will keep the room temperature and optimal conditions for your weed, so it can grow healthy and faster. Super easy assembly. The manual is very easy to follow and it’s super simple to assembly it. If you want to take things to the next level, then this product by Apollo Horticulture is everything you need. While other options in the same or similar sizes are cheaper, they only offer you a 99%-reflective mylar lining, meanwhile this product offers you 100%. And believe me that it will make a great difference in the way your weed grows and develops. It’s also highly-durable and sturdy. It will stop pests from getting in and will create the perfect conditions for your weed to grow fast and healthy. 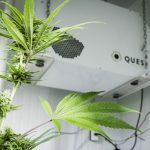 On top of that, it will do an amazing job at keeping the room temperature optimal, which is a requirement for your plants to grow healthy and strong. And finally, its heavy-duty zippers are very smooth to use, which is a great advantage. And here we have another small choice, but this one is a truly excellent one. It’s more expensive than your average small grow tent, but its features make the price be worth it. Super durable and highly sturdy. Gorilla’s tents are known for being super sturdy and highly durable. Reflectiveness at its best. Its diamond-shaped mylar brings you superior reflectiveness. Openings are bit too big. We can conclude that this is a premium option in the small-size league. It’s sturdier and more durable than many options in similar sizes, but what stands out is that its material is super-heavy duty, and this provides several advantages. Such advantages are that it protects your plants from the outside better and creates ideal conditions for your cannabis plants to grow. The diamond-shaped mylar looks very cool and does an excellent job at reflecting light better, which will have a positive effect on your plants. Moreover, the light leaks are nearly non-existent with this tent. But if they ever occur, all you need to do is to add a patch and that’s it. Now it’s time to pass to review a medium-sized option. Logically, it offers you more space than a small tent, which is perfect if you want to grow more cannabis plants. 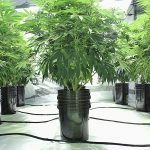 Let’s review why it’s a great option for growing weed. Super easy clean up. Thanks to its removable floor tray it’s very easy to clean, especially accidental spills. Zero light leaks. It keeps 100% of the light inside and comes with an excellent reflective interior surface to make the most out of your grow light. Ideal conditions for weed. It repels pests, keeps the room temperature optimal and creates the necessary conditions for your cannabis plants to grow healthy. 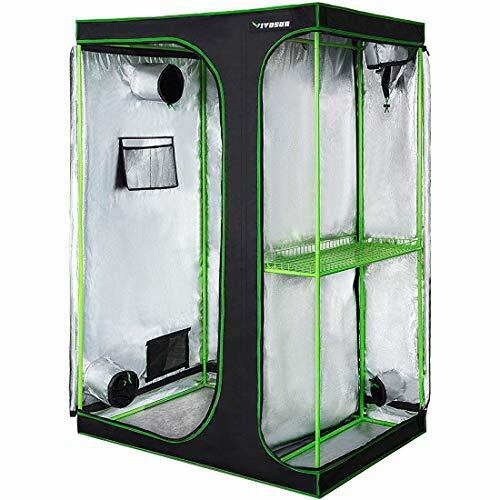 This grow tent by iPower in the medium size is a pretty good option which is affordable as well. One of the most useful features of the product is that thanks to its removable floor tray clean-up is very easy to perform and rarely consumes any time. The most valuable feature in any grow tent is to check if it does a good job at stopping light from escaping and how well it reflects it, and this option has a pretty solid performance in both aspects. It is very safe for your marijuana, because it repels pests and creates the necessary conditions for it to grow healthy and strong. Moreover, it prevents odors from developing. It’s very sturdy, which guarantees you a product that will last for many years and that will protect your plants. Ventilation is just excellent, which is another important aspect to review. The unique thing I’d criticize is that it’s a bit complicate to adjust the height, because you will need someone else to help you while doing it. 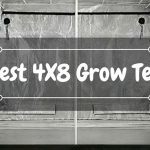 We have already checked what the smaller version is capable of, and here you have it in a bigger size if you are planning to grow more marijuana or other plants along with it. No lights leaks and highly reflective. Forget about light leaks and rest easy because it’s highly reflective. Heavy duty materials make it surprisingly sturdy. It’s sturdy, strong and creates favorable conditions for your marijuana plants. Excellent ventilation. The mesh panels at the bottom make ventilation optimal for your plants. 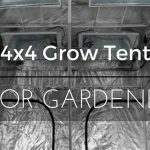 Apollo Horticulture really does an amazing job at fabricating grow tent, that’s why you can find it again in this part of the page. Its heavy duty materials along with highly-resistant and sturdy zippers make it an amazing choice for you. It will keep the light inside, and thanks to its highly-reflective interior, it will increase the efficiency of your grow lights. 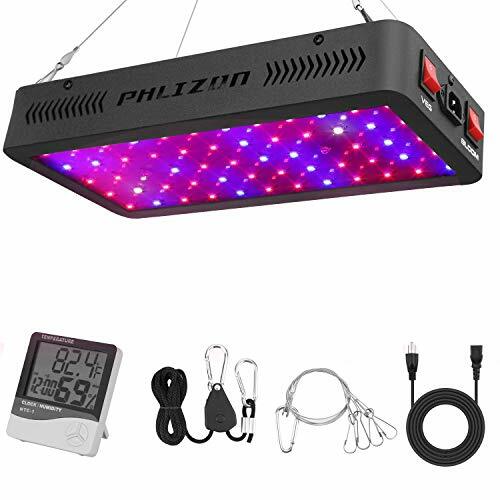 It really keeps the heat of your grow lights, which means it does an outstanding job at maintaining room temperature in an optimal measure. Thanks to its sturdiness it will keep the pests away and protect your plants from the environment. This medium-sized tent is another excellent option, but what stands out is that it’s cheaper than many similar options without sacrificing the quality of the product. Improved durability and sturdiness. It’s highly durable and very sturdy. Moreover, it comes with heavy-duty zippers. The ideal environment for weed. You can precisely control temperature, light intensity, humidity and other important variables. Mesh windows. Check how your plants are doing with its secure mesh windows. The 600D mylar offers 95% of reflection, when many others offer an 99% or 100%. 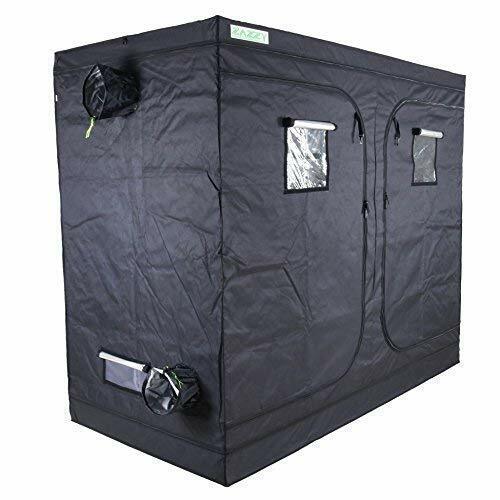 If you have a tight budget and yet want to get a pretty good medium-sized grow tent, then here you have the perfect option for your weed. Its heavy-duty materials will protect your plants all the time and create the ideal conditions for your weed to flourish and grow fast. It will keep the light inside and offer a nice 95% of reflection thanks to its 600D mylar. It could be better, but 95% is more than enough. You can precisely control variables like room temperature, humidity and light intensity, which allows you to customize the environment according to what your plants need. The ventilation is pretty fine and the mesh windows allow you to supervise everything without affecting your plants. Now we are entering the big leagues. 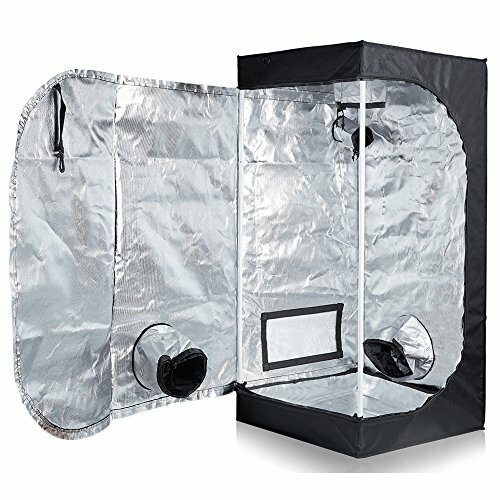 If you need a large grow tent, then this product by VIVOSUN is a very good option. Let’s discover why it is the case. Heavy-duty materials and tear-proof. You just need to touch it to know that it’s a highly durable and protective tent. Very easy to install. You will have it ready sooner than you think. If you want to go to the next level and grow more cannabis plants, then this super-big tent is all you need to make it happen. On top of that, it’s important to mention that it’s more affordable than many others options in the market for the same size. That’s an excellent point on its favor. It does an spending job at keeping the light inside, but I have to point out that it has some light leaks due to the poor stitching in the right side large window, door and the other side window. But you can fix these with some duct tape or patches. But all in all, this tent is pretty good for the price. It’s highly sturdy and will protect your plants so they can grow healthy and faster. Here we have another excellent product by VIVOSUN. If you want something even larger, then here you have an excellent option for you. Super easy to install. It doesn’t matter if you haven’t done it before. Strong and durable. Its frame is very strong and the materials of the tent make it highly durable. Proper ventilation. Its dual ventilation docks are excellent. It’s a pretty solid tent, principally thanks to its strong and sturdy construction. Its fame is very strong and the heavy-duty material of the tent guarantee you a product made to last. Alongside with excellent durability, this sturdy construction does a splendid job at keeping the light inside the tent, which is perfect for your plants. The dual ventilation docks do their job to keep the room conditions in an optimal state, so your plants can achieve their optimal growth and development. It’s very easy to assemble and it comes with all the features necessary to make your weed grow very well. The unique thing I’d improve would be the zippers, because they feel a bit too weak. And now here we have the premium choice from all the large grow tents in the market. Gorilla is an excellent brand and it produces some of the best grow tents in all sizes. Let’s check the wonders and advantages of this product. The strongest construction. 100% metal interlocking and heavy-duty tent material makes it super sturdy and highly durable. You can make it 7’ 11” tall. It’s perfect if you decide to grow other kind of plants. Diamond reflection technology. It makes sure your plants receive the best quality of light reflection. If you are a serious grower with the need to host several plants at once, then you will love this tent by Gorilla. It’s expensive, but that’s what you have to pay for such a high-quality tent. Let’s start by its construction. Its 100%-metal interlocking and super-strong construction allows you to hand up to 300 lbs. which is fairly superior to what most tents offer. It means you can hang plenty of equipment without problems. The heavy-duty material really keeps all the light inside – and this along with the diamond reflection technology – brings your plants the resources they need to grow to their maximum potential. This tent is a real beast, because it performs excellently in all senses. And it means it will allow your weed to grow like no other tent can. These are the best grow tents for cannabis. You have several options for every size, and each one of them is a high-quality choice which will bring your weed the perfect environment it needs to grow and develop. Each one of them has the necessary features to accomplish so. It doesn’t matter if you are a newcomer or an expert, because we all need a grow tent to grow our weed better and here you have 10 excellent options you can buy in 2019. If you have any question or doubt, do not hesitate to comment it so I can help you out! I agree Gorilla really makes a fantastic tent at a good price. I have a 5×5 and a 3×3 that I use constantly. I even have a 50 pound LED suspended from the top of the 5×5 and it supports it without issue. Thanks for such in-depth article. 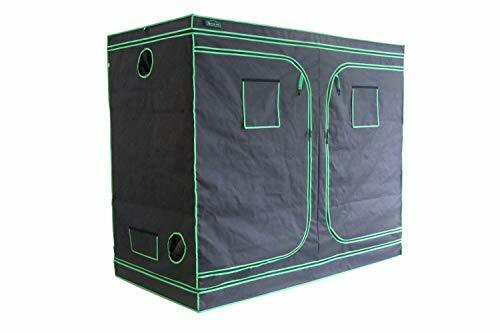 I would like to have a grow tent for growing cannabis in the winter. 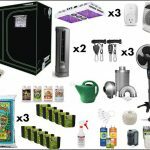 Would you please suggest me the best budget grow tent as well as light setup for winter? 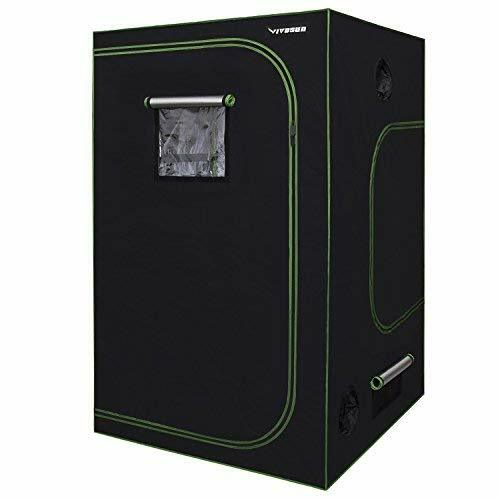 A suggestion for best budget grow tent is iPower grow tent, In terms of value for money, the iPower Mylar hydroponic grow tent rates among the highest in grow tents. just heard the Unitfarm will better,hard to choose.I would like to the one with quick ship and strong enough,is there someone used them and could you pls give me some advice？Thanks. With my experience. I recommend you choose Gorilla.Not only is Gorilla among the most recognizable and reputable brands in indoor grow tents, they literally have gorilla size tents too.Gorilla not only have several sizes of grow tents, they have three distinct lines – the Original Gorilla Grow Tent, the Shorty Grow Tent, and the LITE Line Grow Tent. With each sizing option will have right one for you.